Jan Merz's enthusiasm and energy have inspired many as she travels with our Bucket Fillers Team. She has brought over 500 lively and animated presentations to schools, hospitals, businesses, and conferences across the country. 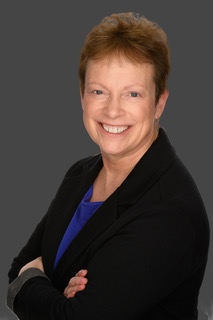 Jan has loved working with children her whole life, from summer camps and church to the public school classroom, where she retired after 33 years as a junior high and middle school choral director and drama teacher. Her Bachelor of Arts degree was earned at Alma College and her graduate work was done at Oakland University. Jan resides in Clarkston, Michigan with her bucketfilling husband, John. They have two grown children, Todd and Kelsey. "I love your presentations. Jan is awesome & very supportive....an encouragement with regard to the bucket filling things we do." "Having Jan come present to our students and staff was a fantastic way to kick off the year. It fit perfectly with what we were already doing and she had such positive energy that it was contagious! The staff has been talking about the staff workshop ever since!" "Thank you so much for the bucket filling assembly. I came to watch with my children. I was very pleased with the presentation and have started using it within my own family."